Dearest friends, how proud I am to announce thus; Vol. 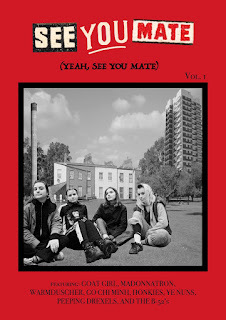 1 of SEE YOU MATE (YEAH, SEE YOU MATE) is now available to pre-order now for 4 pounds English (free UK postage). 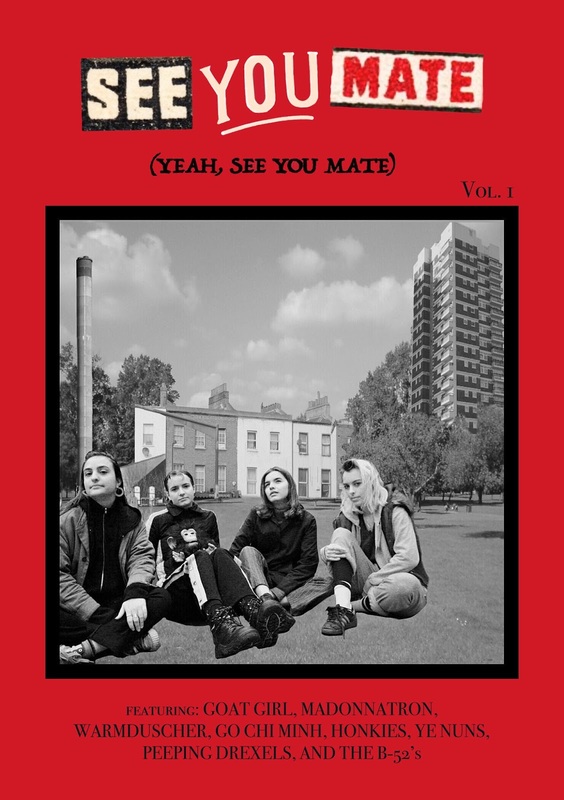 You can also find a gig list for London, our singles column, and reviews of all the records that have piqued our interest over the last few months; Goat Girl, Phobophobes, Parquet Courts, Chupa Cabra/NoFriendz, Melt Dunes, The Oscillation, and many more. All of this is supplemented by original artwork by our very own in-house designer H.E.W. You can pre-order it here, or grab a copy at our launch, on May 4th at Brixton Windmill. This has been the sum of hundreds of hours of work, and for that reason we hope you will support us and buy a copy.